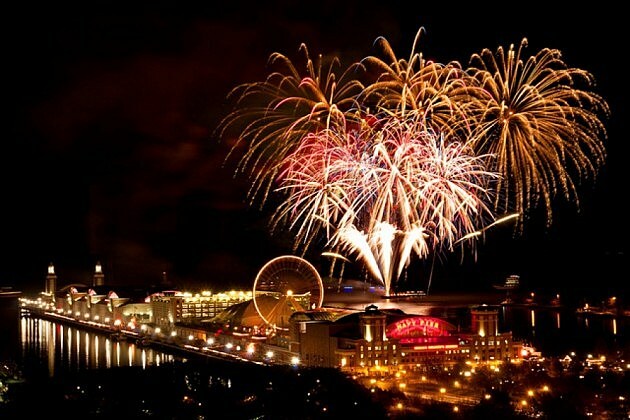 It’s still a little early (as of today, 10/13), but New Year’s Chicago show options are starting to appear, though not all of them happen on New Year’s Eve proper. Patti Smith, known for her usual New Year’s run of shows in NYC, will be performing Horses in its entirety at The Riviera on December 30. Tickets for that are on sale now. Chicago’s own Local H will be up in Lake County, playing Mundelein’s The Loaded Buffalo on December 31. That show will find them fresh off of touring with Helmet, and tickets for that are on sale now. Jam bands more your thing? You’ll get three chances to catch Umphrey’s McGee as they bring their tour to Chicago for a show at the Riviera on December 29 and two at the Aragon on December 30-31. Tickets for those are on sale now. For the hip-hop heads there are a couple of loaded options. 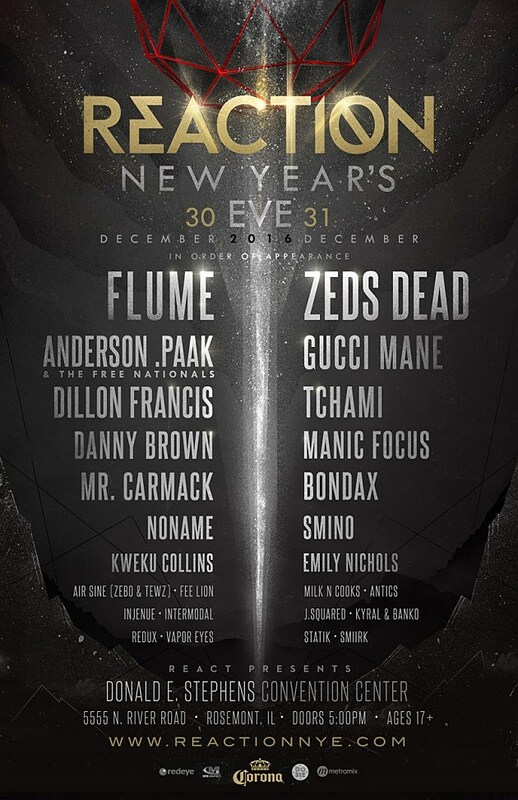 Reaction NYE is a huge event at the Donald E. Stevens Convention Center that takes place over the course of two nights (December 30-31) and features a bunch of EDM and rap heavyweights like Danny Brown, Anderson .Paak, Gucci Mane, Flume and a bunch more. Tickets for one or both nights of that thing are on sale now. There’s also a stacked hip-hop show at the United Center on December 30.The WGCI Big Jam brings together Trey Songz, Chris Brown, Young Thug, Desiigner, Lil Yachty, Dreezy, G Herbo and Lil Bibby. Tickets for that go on radio presale Friday (10/14) at 10 AM and on sale to the general public Saturday (10/15) at 10 AM. More NYE shows will surely be announced as we get closer to the holiday. You can also check out the full lineup for Reaction NYE below.